This article is the first of three I have designed for chess coaches to use in their lessons! Enjoy! To the experienced chess player, winning this really is “child’s play”. But a beginner might have trouble. He may make some random moves and play without any goal. Of course, this would not endanger the win. But as time goes on, eventually the possibility of mistakes increases. With totally undirected play, the win would eventually disappear! Learning this ending also introduces to the children the power of playing with a plan. They will see how much easier it is to play when you know what you are trying to do. 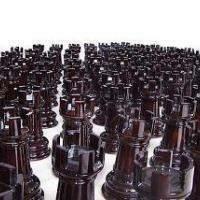 Use the superior power of the queen to take a couple black pawns, creating a passed pawn for white. Of course, there are some other possible plans. But I think this would be the quickest one to win. * Introduce the idea of a plan before starting the play. * The kids will want to make more than two queens. Remind them that more than two does not help, and can only increase the chance of stalemating the opponent. It is best to make two queens because that is fastest. * The moves they suggest do not have to look exactly like the above example. There are many ways of winning this position (which follow the above plan). * Besides learning how to make a plan to exploit a material advantage, the kids will also learn about forks, passed pawns, and pawn chains.